Cultural Compulsive Disorder: The CCD Podcast: Episode #48 - The Best Pop-Culture Duos of the 1980s or "Whose Ready For CCD's 3rd Art Show???" 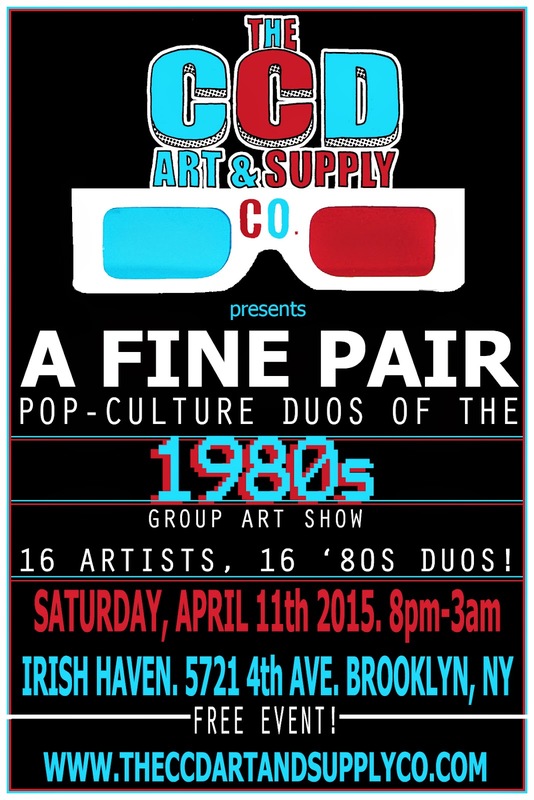 The CCD Podcast: Episode #48 - The Best Pop-Culture Duos of the 1980s or "Whose Ready For CCD's 3rd Art Show???" The pieces were all great again this time. It seems as though there might have been a running thread in your podcast that you were surprised or disappointed that certain duos weren't picked. While others may have had multiple requests or submissions. I'm a little surprised, also. I think that's why the spontaneity of the original art show worked so well. People delving into the characters they were given in ways you wouldn't expect rather than picking their own. This way all the best muses were accounted for. I can't imagine the first art show without Dracula or Frankenstein....or the Mummy if none of the artists decided to choose them on their own.